Obituary for Maxine J. Shear | Thomas E. Fickinger Funeral Home, Ltd.
Maxine J. Shear, 102, a long-time resident of Coudersport, passed away at UPMC-Cole, Coudersport, Friday, February 1, 2019. Maxine was born on November 8, 1916 in Buffalo, NY, the daughter of the late Laurent D. and Marie G. (Kohler) Johnston. She was the wife of the late Thomas R. Shear II, who preceded her in death in January of 1987. She was a graduate of Coudersport High School, Class of 1934 and attended Albright-Knox Art School, Buffalo. She was a homemaker, an artist, and a community activist. Maxine was a very active member of the First Presbyterian Church, Coudersport and served as an Elder and was one of the first female deacons. She was a member of the Eulalia Chapter #148 Order of the Eastern Star, the Coudersport Historical Society, Coudersport Golf Club and was a former member of the Coudersport Area Chamber of Commerce, serving on the Recreation Board. Maxine was an active member of the New Century Club, and designed 24 Christmas balls depicting local landmarks as a yearly fundraiser. 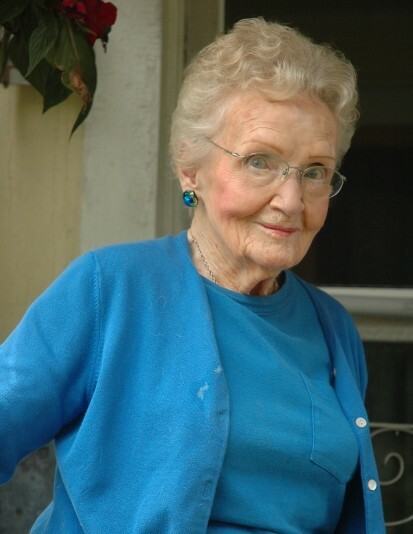 Maxine spent many years participating in local theater groups, painting scenery and portraying characters, such as Mammy Yokum and Marlene Dietrich. She also served as a volunteer for Cole Memorial Hospital where she started the original hospital gift shop and volunteered at Long Term Care. She also managed the Coudersport Ice Mine Gift Shop for several years when her husband's family owned it. One of Maxine's longest lasting legacies is the Coudersport Town Pool, as she was the driving force behind the fundraising efforts to build the original pool in the late 1950s. She prided herself on taking the inaugural swim in the pool when it was opened in 1959, and managed it for many years. As part of her work as an artist, Maxine created over 650 pen and ink drawings of local buildings and private homes in the area. At age 98, she published the book “Churches of Potter County” with drawings of all of the churches in the county. Maxine was known for her great sense of humor. She was always forthright and honest but never hurtful. She offered encouragement to many and was an inspiration to all who knew her. Maxine is survived by a daughter, Laurie (Randi Lawrence) Shear of Coudersport; a son, William (Noelle) Shear of Farmville, VA; a daughter-in-law, Mary Sue (Ben) Henszey of Beaver Cove, ME; five grandchildren., Thomas R. (Megan) Shear IV, Kate (Jeff Nunemaker) Hoover, Justin Shear, Katie (Andy) Meeker and Emma Wright; five great-grandchildren, a niece and three nephews. In addition to her parents and husband, Maxine was preceded in death by a son, Thomas R. Shear III. Family suggest memorial contributions in Maxine’s name be made to; the First Presbyterian Church, 402 N. Main St., Coudersport, PA 16915, the Coudersport Public Library, 502 Park Ave., Coudersport, PA 16915, or the Potter County Artisan Center, 227N. Main St., Coudersport, PA 16915.